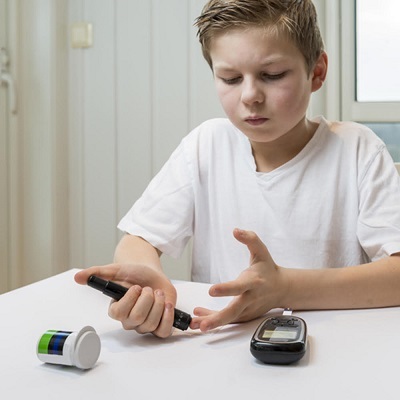 Individuals age 6 – 65 years old, who have been diagnosed with Type 1 Diabetes (T1D) within the past 10 years, are invited to participate in a free clinical trial to assess the effectiveness of vitamin D and omega-3s in slowing down or stopping the progression of T1D. Participants must have evidence of some remaining insulin production, which can be checked for using a C-peptide blood test upon screening. Individuals must also travel to the Diabetes Research Institute in Miami every 4 months to participate. Qualifying participants will be randomized to one of two study groups. One group will be taking a combination of vitamin D and omega-3s, and the other group will be taking only vitamin D. Dosages of each will depend on lab results, and supplements are provided as part of the study. If you are interested in participating in this clinical trial, please visit https://www.diabetesresearch.org/POSEIDON – download the application form on this page, complete it, and email it to [email protected], or fax it to 305-243-1058 or 305-243-2665. For additional information, please contact the DRI Clinical Program at 305-243-5321 or 305-243-6070. Check out our Type 1 Diabetes Prevention project for those who have not yet been diagnosed with T1D, who have tested positive for any of the known islet cell auto-antibodies.